John is a Data Science Librarian/Consultant working in the Data & Visualization Services Department. I help Duke University students and researchers navigate practical data science challenges. To that end I provide a series of workshops on R and OpenRefine; offer walk-in and by-appointment consultations; and host the R we having fun yet learning series (Rfun). My workshops and presentations include twitter stream gathering, web scraping, data parsing, and data cleaning. Each workshop is designed as a hands-on experience where you can download practice data, presentation slides, and workbook guides. Recorded video streaming is often available. Mapping in RStudio. Plot latitude and longitude. Create choropleths using leaflet, sf, tidycensus, and tmap. For practical data management, use RStudio to orchestrate your repositories and leverage Git-based version control. DVS can help Duke Tableau Users create more effective visualizations. Explore two methods of gathering real-time twitter stream data, hands-on exercises in applying for twitter API Keys and configuring a twitter-stream data gathering tool. Investigate and discuss historical twitter data gathering. Discuss considerations for analysis. In this Hand’s on presentation given to the Research Computing Symposium (2017), participants use R to gather movie data from the OMDB API. In part 2, participants access the API of Fire and Ice. Previously I wrote about Yihui Xie’s xaringan slides. It’s a great package combining R Markdown with the remark.js slide tools and some Yihui Xie ingenuity. I was a fan when it came out and I’m a bigger fan after multiple uses. In my mind, xaringan is perfection in need of only one small personal customization. I wanted one feature: an R Markdown document template that stores some of my typical slide themes combined with a custom stylesheet (CSS) for the Duke University color palette. I’m teaching at DSVIL 2018 in June: Web Scraping, Data Cleaning, and HTML/JSON Parsing. R Markdown is the backbone of R’s dynamic documents, literate data science, and reproducibility. Announcing the Fall 2017 R Learning Series: dates, topics, registration, and access to learning materials. 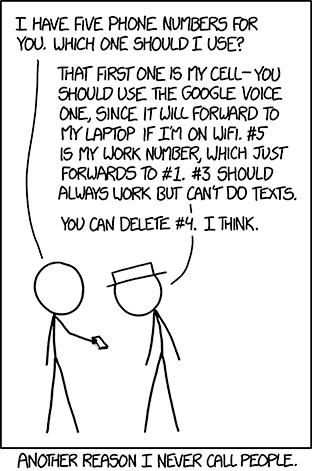 telephone, answering machine, email, etc. Website composed in R Markdown via Blogdown. Web theme is Academic for Hugo. Free hosting via Netlify.